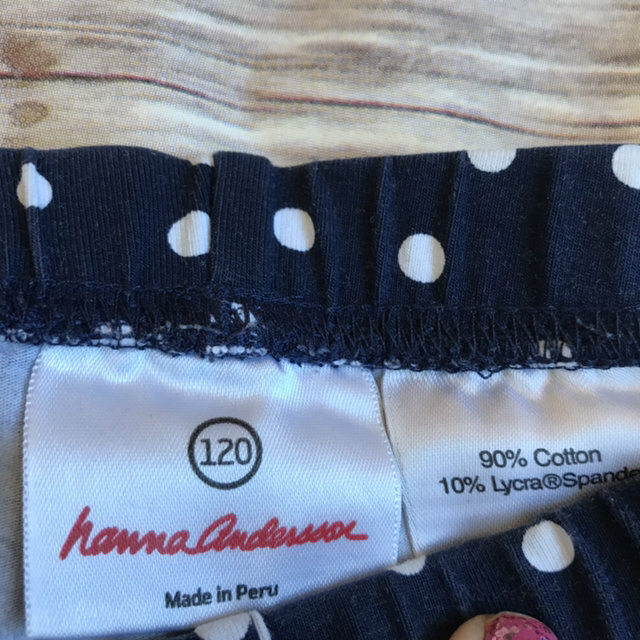 Size 120 (6-7) Hanna Andersson shorts. 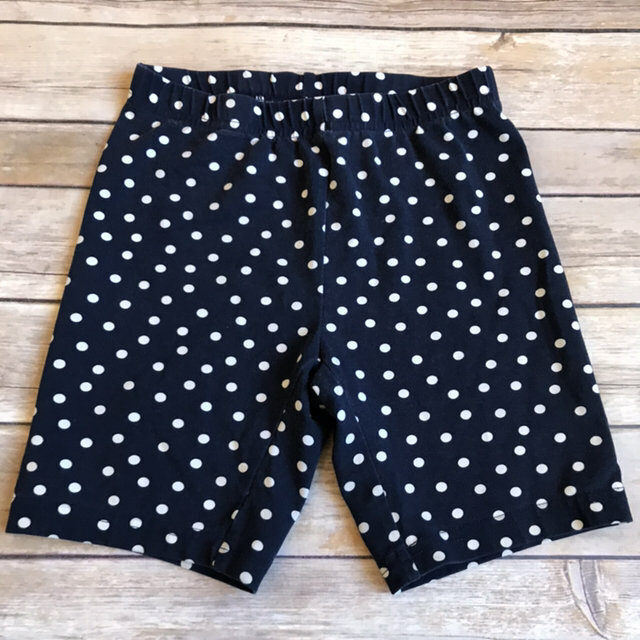 Navy blue with white polka dots. 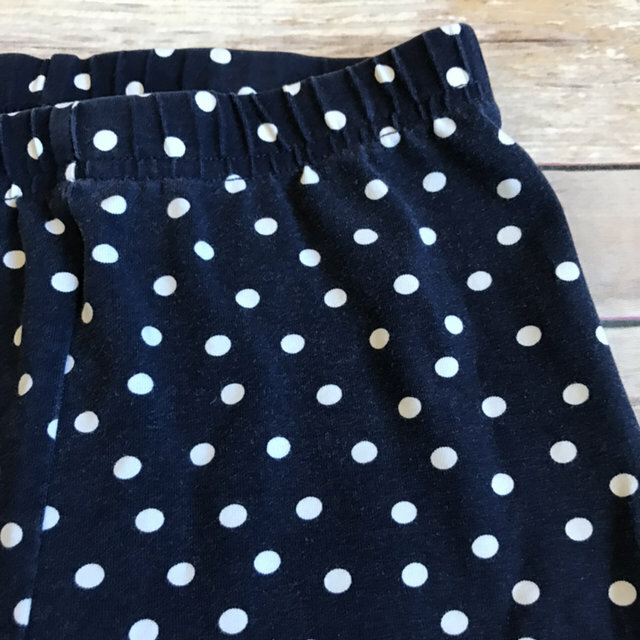 90% cotton, 10% Lycra Spandex. No stains or holes. Good to very good condition for light washer fade.